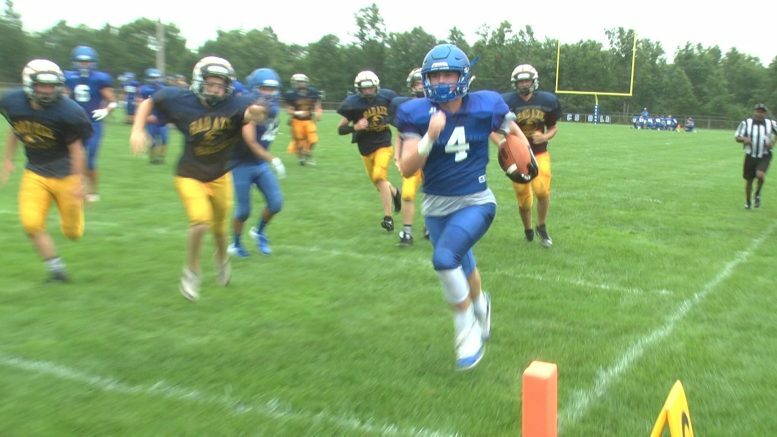 Oscoda – The Owls are building chemistry as a team, and a week before game day and fans got a sneak peek at the Blue & White scrimmage against Ubly and Bad Axe. Quarterbacks Brayden Mallak and Owen Franklin took control of the pass and run game. Devin Thomas and Franklin were top wide receivers. On defense, Christian Ward was the man up front stopping rushers and making sacks. Franklin and Thomas came up with an interception. Overall, Head Coach Mark Whitley was pleased with the teams’ performance.